WinX DVD Ripper Platinum is Windows-based software capable of ripping any DVDs/ISO images to hard drive, such as rip DVD to MP4, H.264, AVI, HEVC, MPEG, MOV and M2TS. 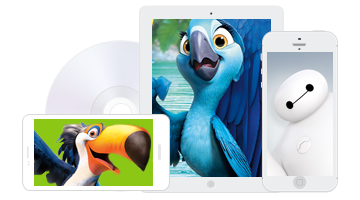 Also, it converts DVDs for playback on Apple (iPhone, iPad, Apple TV, iTunes), Android (Samsung, Huawei, Nexus, Kindle), Microsoft (Xbox, Windows Phone, Surface), Sony, and enables you to copy DVD library to Plex Media Server, NAS drive, etc. Besides 350+ built-in profiles, this DVD ripping software has 4 unique DVD Copy modes. Clone DVD disc to ISO image, to a folder at a 1:1 ratio. Backup DVD main title content for playing on PC, PS3, PS4, Xbox, Media Center, etc, and copy DVD title fully to a multi-track MPEG2 file with all Videos/Audios/Subtitles. The Only DVD Ripper with Level-3 Hardware Acceleration: The exclusive Hardware Processing Tech powered by Intel® QSV and NVIDIA® NVENC/CUDA speeds up DVD ripping by at least 50% while keeping maximum video quality, preferable output file size and lowest CPU usage. Even a low-end computer can convert a DVD in about 5 minutes only. * The result varies in different computer-aided test environment. WinX is the strongest for 99-title DVDs and always the 1st to support new DVDs. Why you need this DVD backup & rip software? Bravo! Rip a feature-length DVD movie to MP4 (H.264) in 5 minutes at 300-500 FPS. Speed up by utilizing Intel CPU, Nvidia GPU, Multi-core CPU & Hyper-threading. No.1 fast DVD converter: With unique level-3 hardware acceleration, it can fully utilize Intel Core i5/i7 CPU, GeForce GTX 1080 Ti, etc for efficient DVD video processing. It can reach 32x real-time faster conversion speed, 500 Max FPS (decided by GPU, DVD-ROM, etc), with a perfect balance among speed, output quality and file size. Together with Multi-core CPU, Super Encode Engine based on MMX- SSE & 3DNow! and Hyper-threading tech, ripping a feature-length DVD movie only takes about 5 minutes. Complete content and original image aspect ratio can be kept. 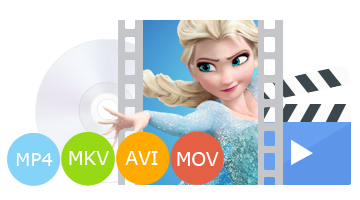 This DVD ripper offers worry-free conversion of DVD to AVI (DivX/Xvid), MP4, H.264, HEVC, MPEG, WMV, AVC, TS/MTS/M2TS videos and other PC general videos, DVD to MOV and M4V accepted by Mac, and DVD to FLV and more for sharing on YouTube, Facebook, Vimeo and other websites with 350+ profiles! Rip/backup DVD to portable devices and smart TVs, such as DVD to iPhone (Xs/Xs Max/XR/X/8/7 Plus), iPad (Pro/mini 4/Air 2), Apple TV, iPod, Google (Chromecast, New Nexus 7), HTC One (M8), Samsung (Galaxy Note 8/S8/Note 7/S7 edge), Huawei Mate 10, Microsoft (WP8, Surface, Xbox), Amazon Fire phone, Sony (PSP/PS4), Fujitsu, etc. 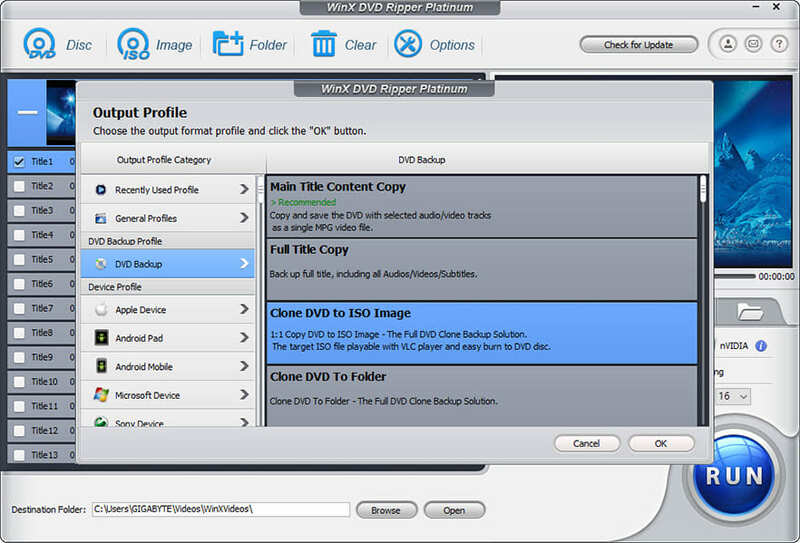 No matter your DVDs are made by yourself, or purchased from stores (from other countries), you can make perfect backup by using the powerful DVD ripper. Uniquely, with the new title checking mechanism, it can access and rip 99-title DVDs, workout DVDs, music DVDs, movie and TV series DVDs. Even if your DVDs are scratched, damaged or unplayable, the software is here to offer a solution. "Yadif Double Frames" De-interlacing Engine changes the DVD interlaced scanning mode to progressive scan to improve the output video effect; High Quality Engine helps deliver highest possible image quality. 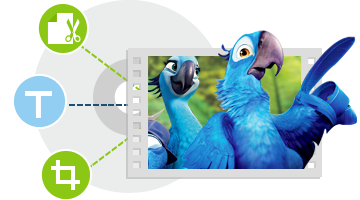 On top of this, you can balance and master the video quality and file size according to your own need. This DVD ripping software is preloaded with a video editor to polish your DVD movies. You can crop video to remove the unwanted borders and area, trim video to set the start/end time to cut video clips out and merge to combine several titles. You can also select subtitle track (incl. forced subtitle) and even add the downloaded SRT subtitle files in any languages. For Advanced users, this DVD ripping software enabled with GPU-based hardware acceleration offers flexible choices to fine-tune and adjust parameters to tailor the output videos, in terms of video audio codec, bitrate, frame rate, aspect ratio, resolution, audio codec, audio channel number, sample rate, etc. You can customize and apply your own settings to all. The latest DVD may have 99 titles and the file size is larger than 40 GB. When ripping such kind of DVD, common DVD ripper usually crashes or works out of order. WinX DVD Ripper Platinum is able to auto select the right DVD title and smoothly rip DVD from the main movie content with correct order. It's constantly updated to support the latest DVDs. 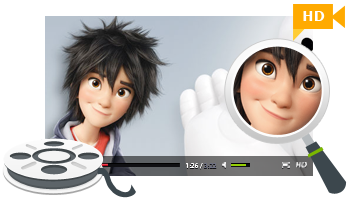 How to Rip DVD to MP4 on PC/Mac DVD to MP4 converter is quite popular at this age, because more and more DVD owners tend to decode their collected DVDs and encode them to MP4. Thus, the article will particularly show you how to convert DVD to MP4 on Windows XP, 7, 8, 10. Top 3 Free Windows 10 DVD Rippers 2019 For who wanna rip and copy read-only/purchased DVD movies on Windows 10, to screen out the best free Windows 10 DVD ripper software, we hold a thorough review of top 3 free DVD rippers for Windows 10. How to Rip DVD to Hard Drive Ripping DVDs to hard drive means two things: ripping DVDs on computer and saving on the internal hard drive of computer for direct use; ripping DVDs to an external hard drive for storage and it can be connected to other devices. How to Rip DVD to USB Ripping/putting ISO or DVD movies to the new USB 3.1 Type-C is very trendy since USB-C is being compatible with MacBook, Surface Hub, Chromebook Pixel and more devices. Learn how to rip DVD to USB-C. Built with 320+ Video/Audio Codecs, support AVI, MP4/H.264, MOV, AVC, MPEG, WMV, MTS, M2TS, TS, MPEG4, FLV, M4V, ISO image, DVD folder, MPEG2 (DVD), Chromecast, etc. Continue to download the Windows version.